Commercial Deal of the Week-Karen Schimpf-Commercial Capital Ltd. This quote has always haunted me… challenged me. As I am older, I see how true it is for most people AND I think I know why. Most people, worn down by the challenges of life, just choose not to decide. To quote the band Rush, “If you choose not to decide you still have made a choice”. By choosing not to engage the battle in the workplace, the challenge in the marriage, the challenge of the defiant teen, we choose mediocrity. Life is hard… no doubt. However, you are still here…your song still can be written and you NEED to engage this journey of life. God will work the bad in your life for good. I have made many mistakes in my life, and in the end, it seems to always work out AS LONG AS YOU KEEP MOVING FORWARD…KEEP CHOOSING TO ENGAGE IN THIS GREAT COSMIC BATTLE OF LIFE. -Preferred equity and JV equity for large purchases of apartments, shopping centers, office complexes and industrial. 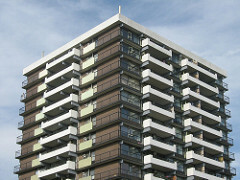 -No closing cost apartment loan in larger markets with rates as low as the 4’s…$2500 application fee is your only cost. -Fast bridge loan financing if you ever require it on properties that need to be rehabbed and stabilized…closings can be in 2 weeks or less. -Hotel construction up to $12 million nationwide up to 80% loan to cost and will consider non-flagged at 75% loan to cost! And much more. We are a private money lender but I am also a correspondent to major life companies, conduits and specialized nationwide lenders. Hence, I can bring a dizzying array of financing options to any deal and I do it all at NO RISK. I will underwrite and provide preliminary approval in writing within 72 hours of receipt of the basic documents and I provide that at no cost or risk to you. If you like my terms you can move forward, if not, you have lost nothing but a day or two. I am a great option for those people serious about closing a commercial or business loan. SO give me a call TODAY at 512-650-8630 or get started by completing the form . Give me a CALL TODAY at 512-650-8630 or 512-354-4949 or get started by completing the form.